An archive shot with a bit of a processing twist today. I was thinking about the growth in android and apple camera apps, as well as what may be a slowly growing trend (at least in the more compact/non dslr field) of built in apps on phones.At the very least, it is becoming more common for people to upload their photos to various mobile devices. So for today I uploaded an old image from my Fujifilm J15 to my samsung galaxy sII. Editing wise, I used Afterfocus and applied a vignette and vintage filter. 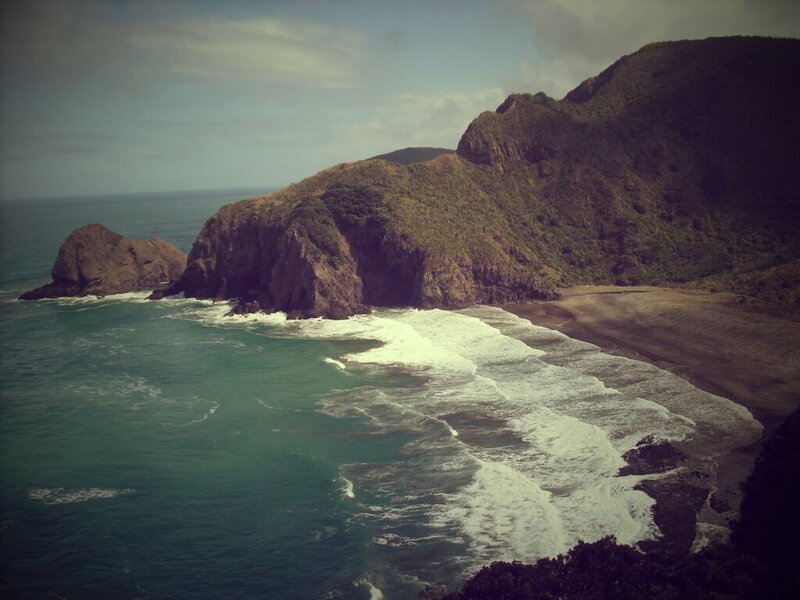 Image wise, the photo was shot at Whites Beach, just to the side of Piha on Aucklands West coast. A beautiful yet wild beach well worth visiting.